..taking photos with a tripod anywhere in Washington, DC is always interesting. 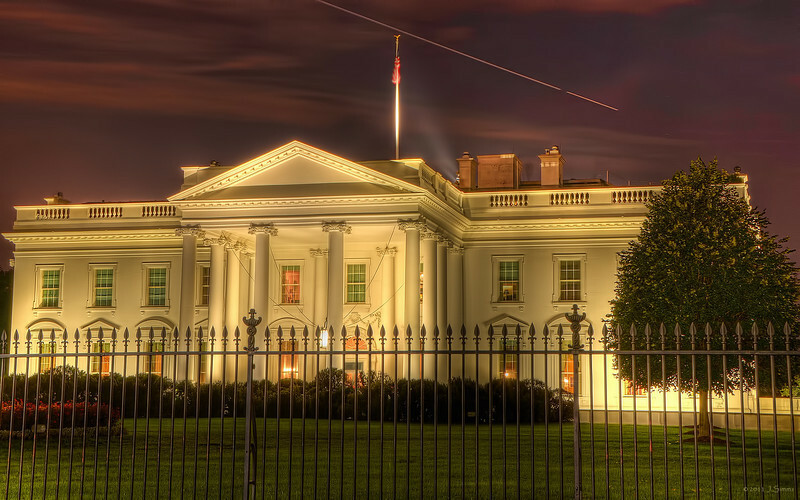 if you don't know the rules, ask :) You can setup a tripod on the street, but not on the sidewalk of the White House. Next, when you do setup the tripod, do try to ignore all the security that now keeps an eye on you.